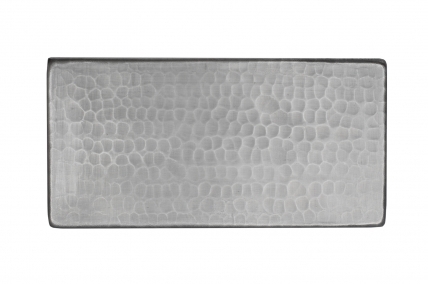 This copper tile piece has a hammered texture and a nickel plated finish for a silver look. 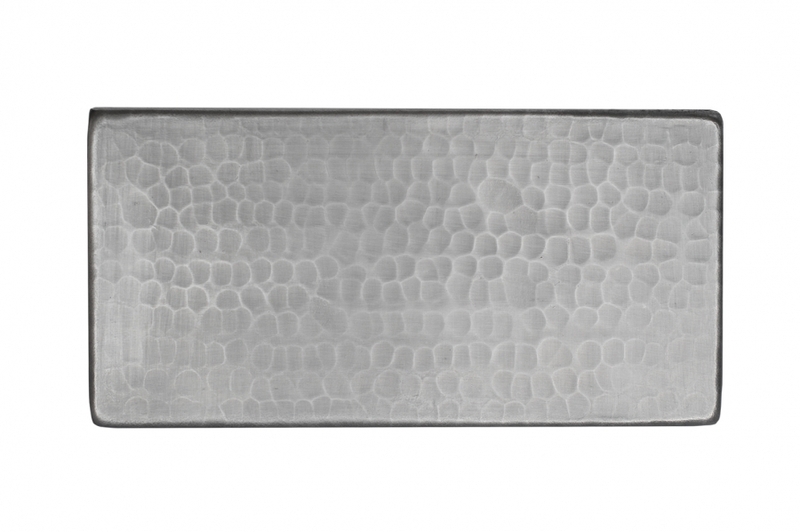 The rectangular shape allows it to cover a larger area than a square tile. Set with others just like it or as part of a mixture of tiles, this piece makes an excellent part of a back splash area.